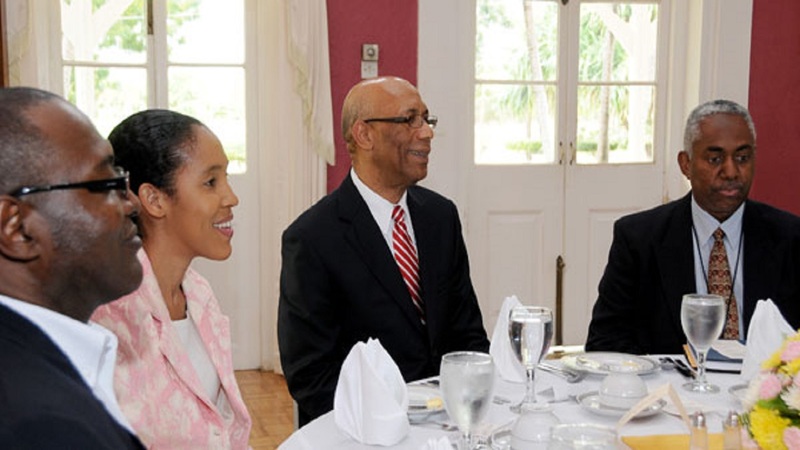 Garfield Grandison (left) in the company of Governor General, Sir Patrick Allen (second right), at a luncheon at Kings House, which was attended by, among other media practitioners, Chief Executive Officer of the Jamaica Information Service (JIS), Donna-Marie Rowe; and Vernon Davidson, Executive Editor – Publication at the Jamaica Observer newspaper. Garfield Grandison, who has presided as the Gleaner’s Editor-in-Chief for almost 20 years, is to take on a new role heading up the media company’s international operations. 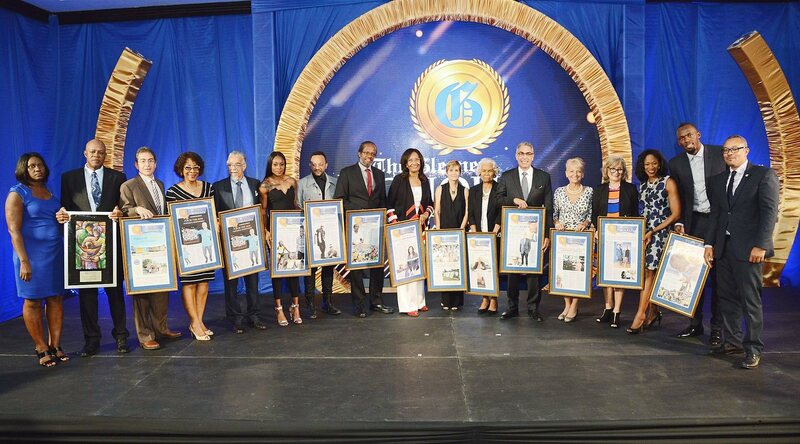 Grandison has worked at the Gleaner for close on three decades, steadily climbing up the ladder before succeeding Wyvolyn Gager in the top editorial job. During his tenure, he shepherded the Gleaner Company into the multi-media space, embracing the digital age, along with radio, and transformed the newsroom into a 21st century workplace utilising advances in media technology. He also nurtured a generation of young and talented news professionals, including Robert and Nashauna Lalah, Damion Mitchell, Daraine Luton, Avia Collinder, Heather Kong, Robert Hart and Ross Sheil. Grandison will initially take up his new role for a year while Robert Hart serves as Acting Editor-in-Chief of the Gleaner, and will be supported by Arthur Hall. The RJR/Gleaner Group is making a concerted effort to dominate the local media space with an integrated approach. It enjoys a significant presence in radio, online, print and television. 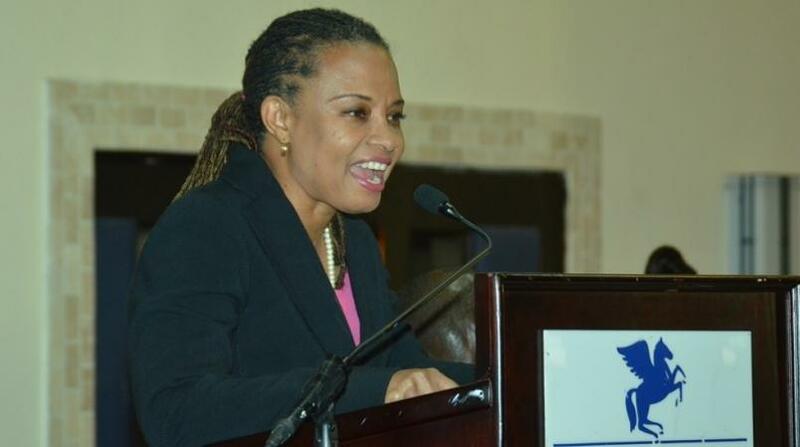 With the large Jamaican Diaspora in focus, the group is also looking to tap into audiences with a higher income per capita and a higher average literacy rate, with Grandison leading the charge from the United States. 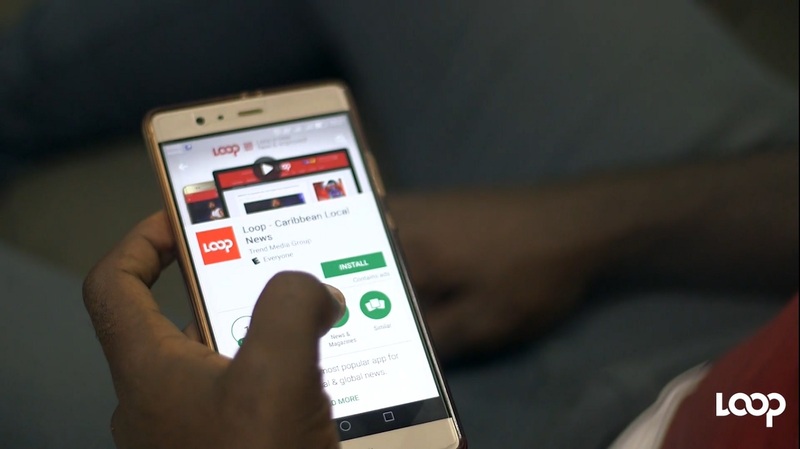 Loop News understands that he will take up his new position sometime in July of this year.